Jeanne-Marie R. Stacciarini, Ph.D., R.N. Jeanne-Marie Stacciarini studies mental health in underserved and minority populations, through the development of innovative methods to reduce health inequalities in preventive mental health care. Stacciarini’s research is innovative, as it focuses on a poorly understood segment of the population, rural Latinos. Though new to the region, she demonstrated a commitment to learning the community and reaching out to immigrants in Levy and other surrounding counties. She has created a very successful Community Advisory Board, working effectively to identify critical issues in the Latino population and to understand the best ways to build trust with this understudied community. Stacciarini has completed preliminary research that identified unique mental health issues related to social isolation in Latino women and their children. To create relationships with these individuals, Stacciarini has been training health workers from the community to engage with the rural community members, using culturally sensitive approaches. Stacciarini served as a member of the Executive Committee for the People’s Scientific Conference to Promote Health and Eliminate Health Disparities, held at UF. This was the first of its kind conference, in which members of underserved communities, health researchers, and health care providers came together. They learned from and taught one another about research and evidence-based interventions to promote health and eliminate the health disparities that plague communities within Florida and throughout the nation. Stacciarini has collaborated with faculty from Mexico and Brazil on studies to understand the promotoras’ (lay-health workers) role in the mental health field. 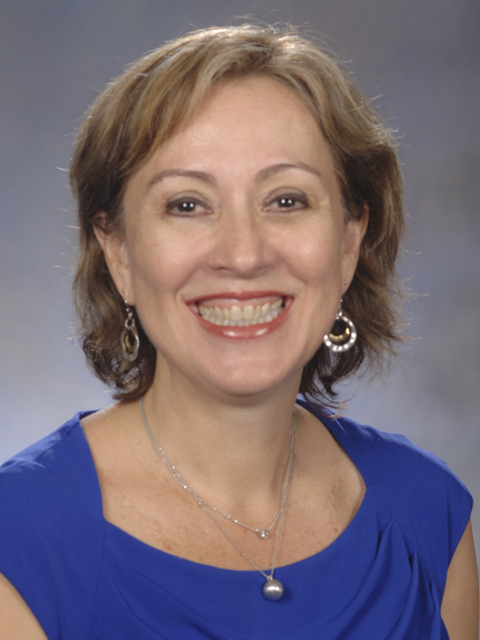 Her ethnic background, coupled with her knowledge of Latino culture, has provided Stacciarini with the expertise to publish and present research in English, Portuguese, and Spanish. This has contributed to her ability to collaborate with international faculty to promote global, scholarly advancement in nursing.